When it comes to replacing missing teeth, dental implants are simply in a class of their own. Unlike other treatments that only bring back the visible part of a tooth (the crown), implants also restore the root structure below the gum line. The end result is a new tooth that looks, feels, and functions just like a real one in every way you can imagine. 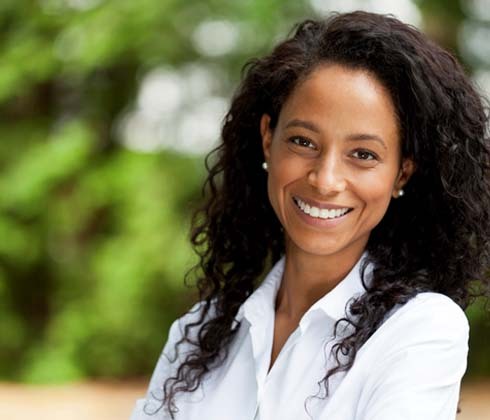 If you’re ready to have a complete and confident smile again, the team at Long Family Dental is ready to give it to you using one of the most advanced treatments available today. Why Choose Long Family Dental for Dental Implants? Stability: Thanks to their strong foundation, patients never have to worry about their implants slipping or sliding out of place while they talk or eat. Beauty: All of our implants are topped with custom-made porcelain restorations from a local dental lab. The only people who will know which teeth aren’t real will be you and your dentist! Protection: Jawbone loss is one of the biggest risks associated with tooth loss, as it naturally starts to shrink when the teeth go missing. Implants can help renew blood flow to the area and even encourage the growth of new bone, which protects the foundation of the remaining teeth and helps a patient maintain their original facial shape. Longevity: With standard oral hygiene and dental visits, an implant is guaranteed to last for multiple decades at a time or even for the rest of a patient’s life. An all-porcelain crown can be attached to a single implant root that is placed between two healthy teeth. Unlike a regular bridge, the surrounding teeth don’t need to be altered at all, better preserving a patient’s natural smile. Implant-retained crowns can be positioned anywhere in the mouth as needed, and a small number of “roots” can even be used to secure a partial denture or bridge. Compared to regular dental prosthetics, those held with implants are much sturdier and less prone to breakage. If you are missing an entire row of teeth, we won’t need to replace each tooth with an individual implant. Instead, just four to six titanium roots are all that is needed to attach a full denture directly to the jawbone. Implant-retained dentures feel much more natural compared to traditional ones, and they also help a patient regain more of their biting strength. 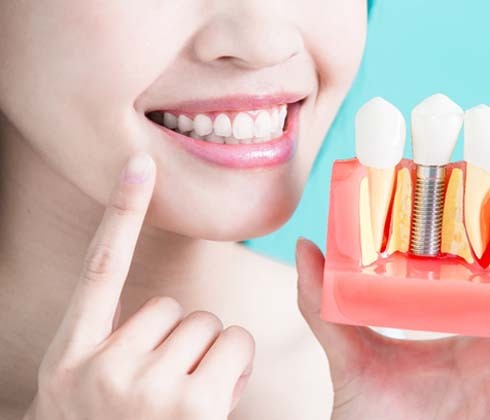 At most other practices in the area, you’ll be forced to visit multiple doctors and bounce between different offices to successfully restore teeth with dental implants. At Long Family Dental, we save our patients from this exhausting hassle. Both Dr. Bob and Dr. Chris have the training and experience to perform the entire procedure themselves from beginning to end, meaning you’ll be able to get everything you need to renew your smile in one convenient location, saving you time and money every step of the way. 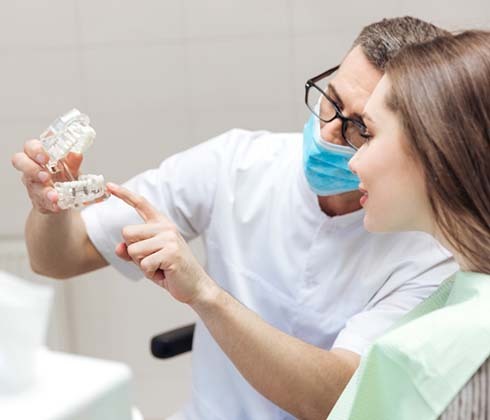 Our dental implant treatments are custom-designed for each patient based on their particular needs, and because of this, there is no fixed price for the procedure. When you come to see us for a consultation, we’ll go over all pricing information so you’ll know exactly what to expect. 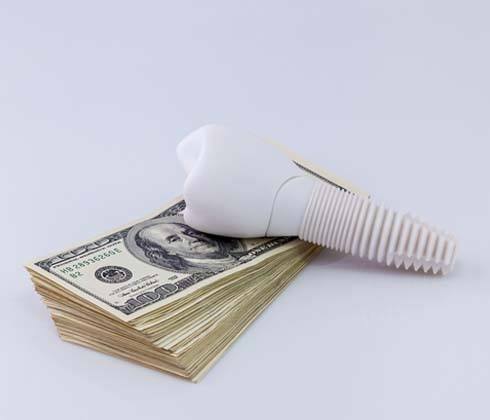 While implants do tend to cost more upfront compared to other replacements, they are designed to last for decades, which often helps patients save money in the long run. In comparison, bridges and dentures usually need to be replaced every five to seven years on average.